The Shih Tzu is a sturdy toy dog, companion and house pet. Submit Your Dog Photos Here! 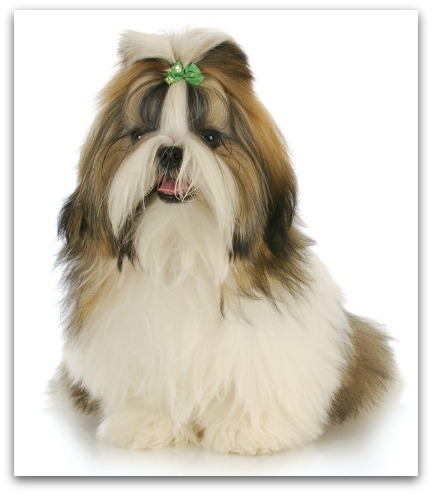 Shih Tzu originated in Tibet and is China's ancient breeds of dogs. They was a favorite pet of the wealthy and the royals in its native Tibet, and loved by the imperial dynasties, they were given to the emperors of China during the Tang and Ming dynasties (17th century) as a great honor and that is how they came to China. Shih Tzu's require a great deal of grooming. In order to maintain long-haired, we need every 1-2 days for it to comb down the hair of a one times, with using a bristle brush, should wash bath, in order not to dirty his hair, usually used a rubber band to the body parts of dogs hair of a small beam of a small bundle to bundle up and take a bath until the time when the unlock, this is to prevent long-haired dog body broken and knotted, and to prevent infected with dirt.